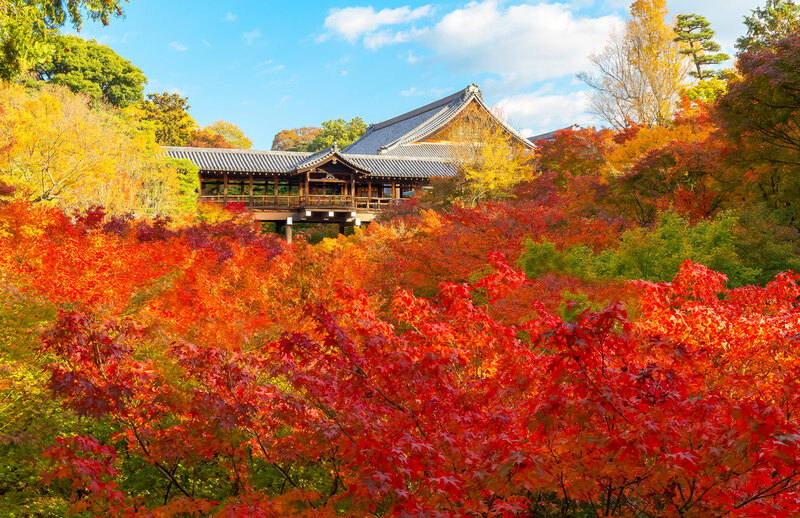 "TOFUKUJI is a large Zen temple in southeastern Kyoto that is particularly famous for its spectacular autumn color. The stunning scenery that attracts tens of thousands of tourists everyday during the season. The most popular view is of the Tsutenkyo Bridge, which spans a valley of lush maple trees. 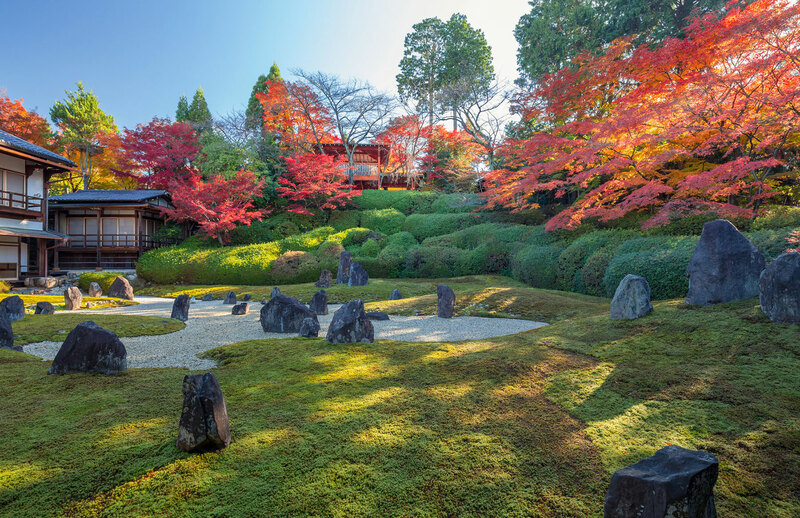 The Sanmon gate, a National Treaure, is the oldest Zen main gate in Japan. ☆Admission ends 30 minutes before closing time. Kyoto's most popular tourist destination. 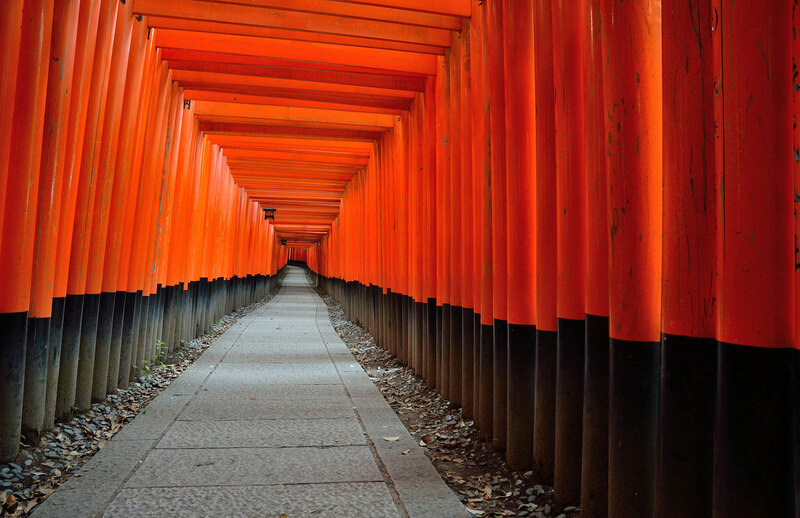 It is famous for its fox statues and for the trail up Inari Mountain which is lined with thousands of vermilion torii gates. 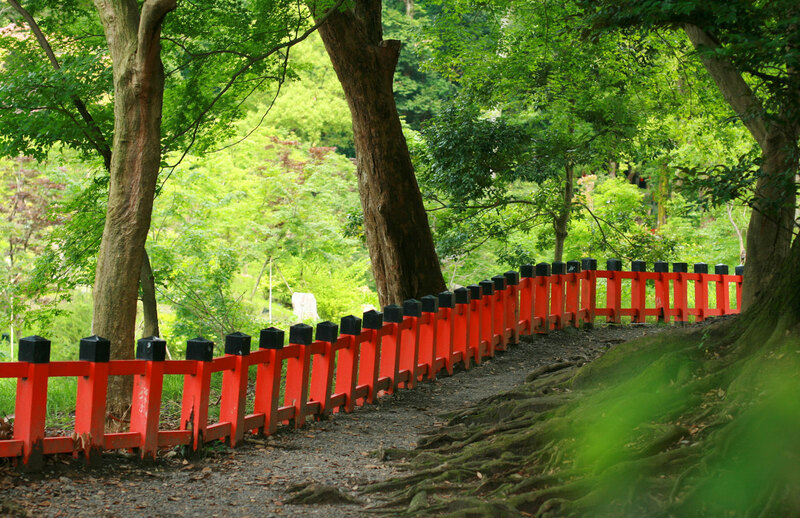 The torii gates are popular among foreign tourists because of its appearance in a major Hollywood movie “The Memory of Geisha ”.